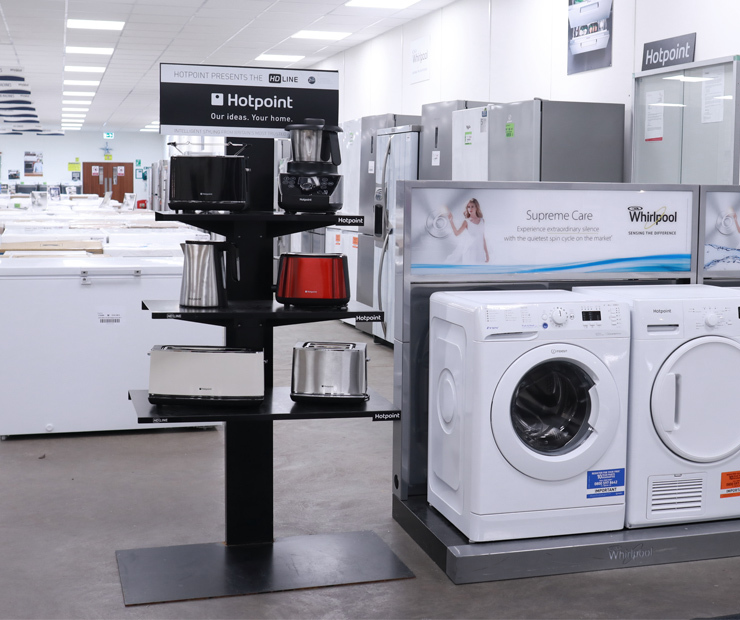 Whirlpool's factory outlet stores offering a wide range of KitchenAid, Whirlpool, Hotpoint and Indesit domestic appliances at great prices. 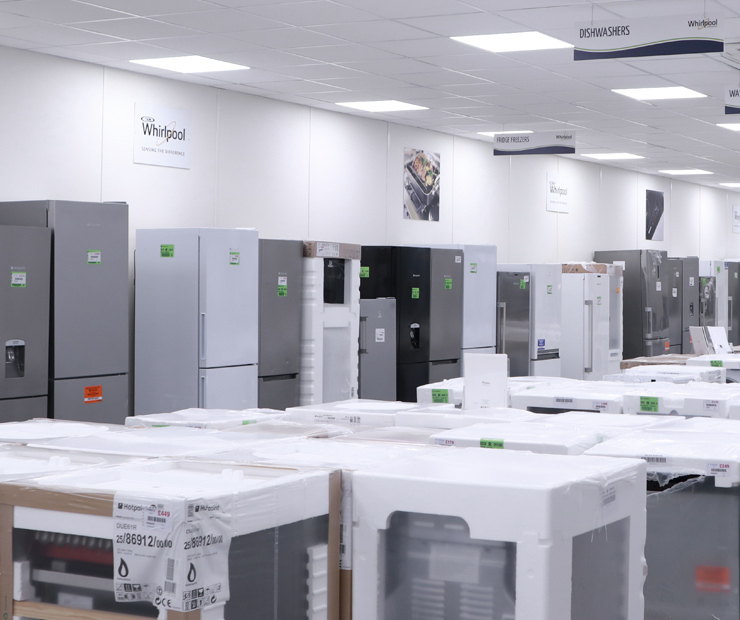 All products are fully refurbished back to factory standard at Whirlpool's own facility in Peterborough, Cambridgeshire. 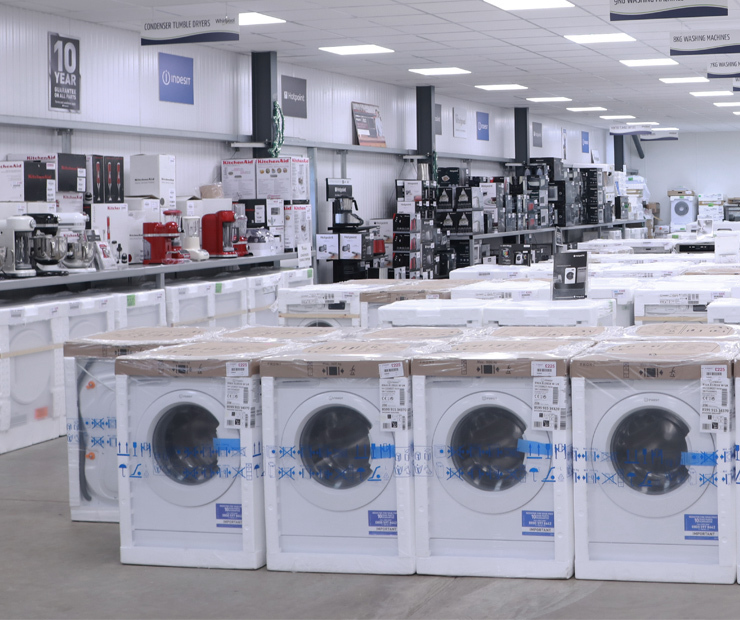 Each store offers an extensive range of large and small domestic appliances, which are located in Gateshead (Tyne and Wear), Yate near Bristol and Peterborough. This is the highest standard of refurbished products which have been reworked in Whirlpools on site facility and come with a 1 year manufacturer warranty as standard. Most of these appliances received minor damage during the original manufacturing or logistics process and although minor blemishes may still exist, these are generally limited to the sides and rear of the appliances. These refurbished products have generally been returned as either damaged or faulty from the retailer, and once reworked in Whirlpools on site facility come with a 1 year manufacturer warranty as standard. The products will have some cosmetic damage, which could be on the front, sides or rear of the appliance. All appliances are fully functionally, safety tested and are sold complete with a full 1 year manufacturer guarantee covering parts and labour. A 10 years parts warranty is also available provided that the appliance has been successfully registered - this applies to large appliances only. For Whirlpool branded appliances a 2 year manufacturer guarantee (parts & labour), plus a 10 year parts warranty is also available upon appliance registration. We can deliver the product for you (competitive delivery charges apply) if you are located within 10 miles of the shop. 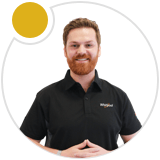 We can recommend a local delivery agent who can deliver for you and will accept payment on delivery.